Do you need an Electrical Engineer gift or an engineering student gift? 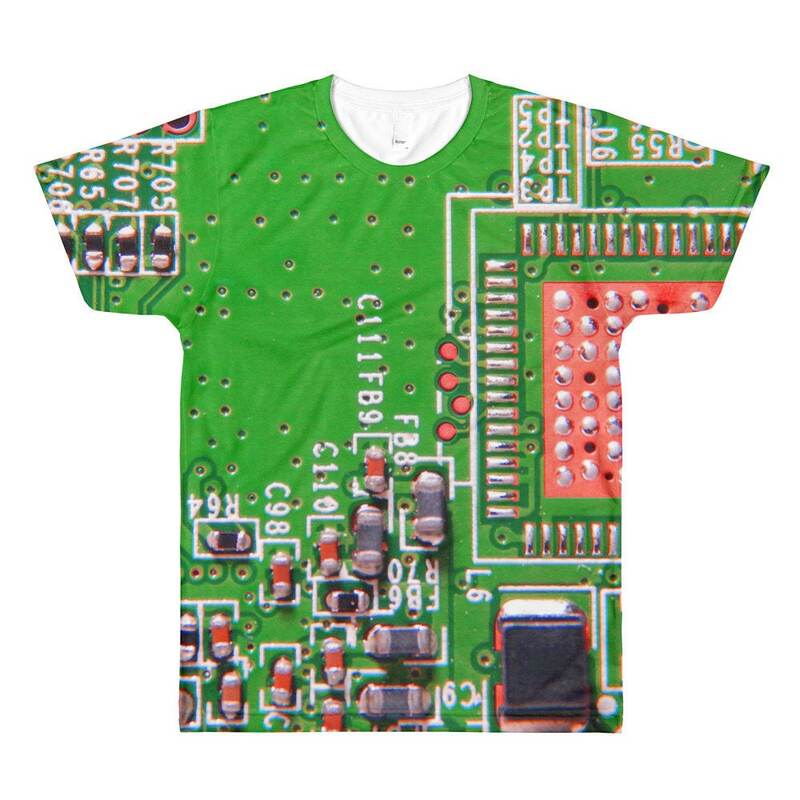 This circuit board shirt is vibrant and nerdy and would make any outfit geeky chic. Please note that this shirt is printed with sublimation and there may be some white streaks in the arm pit area. While in production the utmost care is taken in minimizing this effect, however, there will still be some streaks.